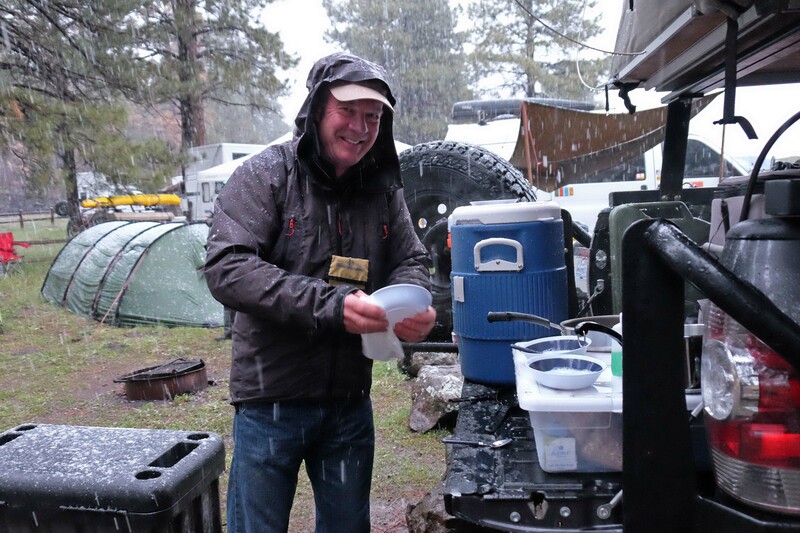 The weather was a challenge at this year’s Overland Expo (overlandexpo.com), where we camped in rain, snow and lots of mud for the annual gathering of adventure travelers from May 15-17. 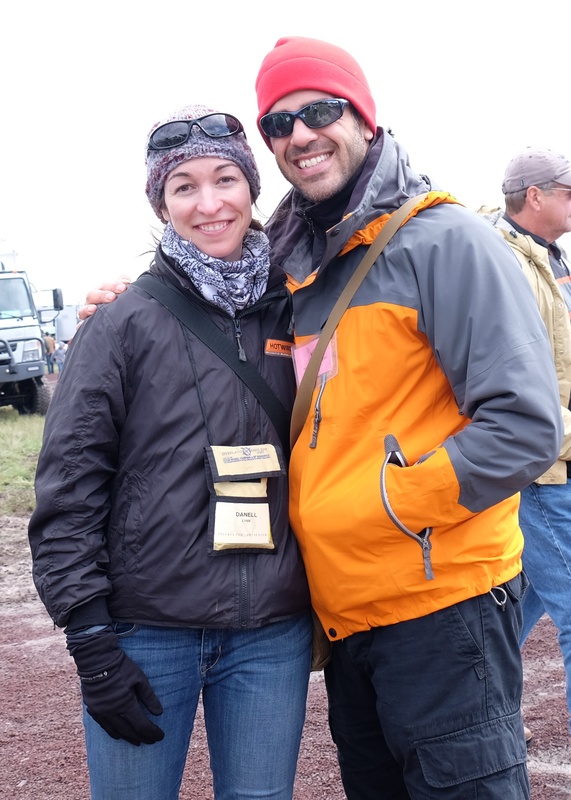 In spite of the weather, we enjoyed catching up with friends and all of the sights and sounds. 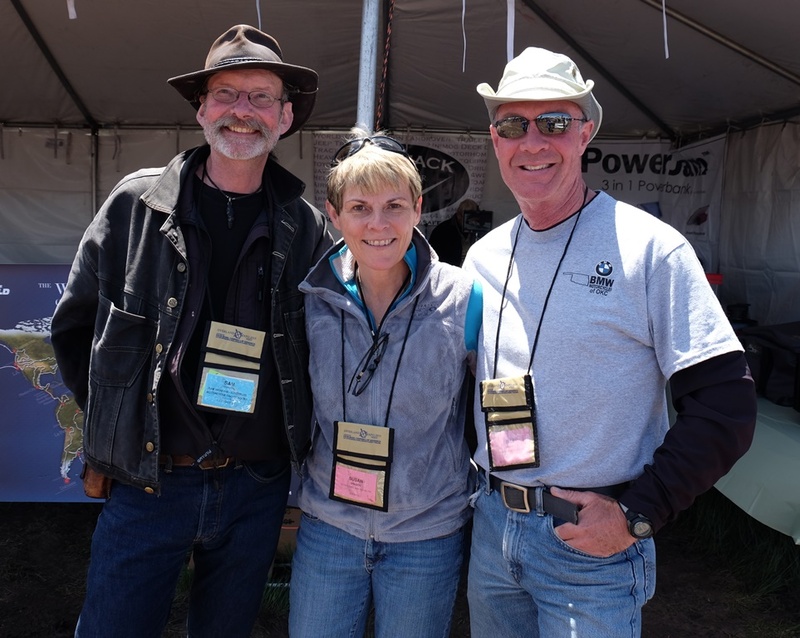 Chris and Laura Moxley from Norman joined us for the expo and we had a great time camping with them. After the event, the four of us continued north for more adventures. Details in the next installment! 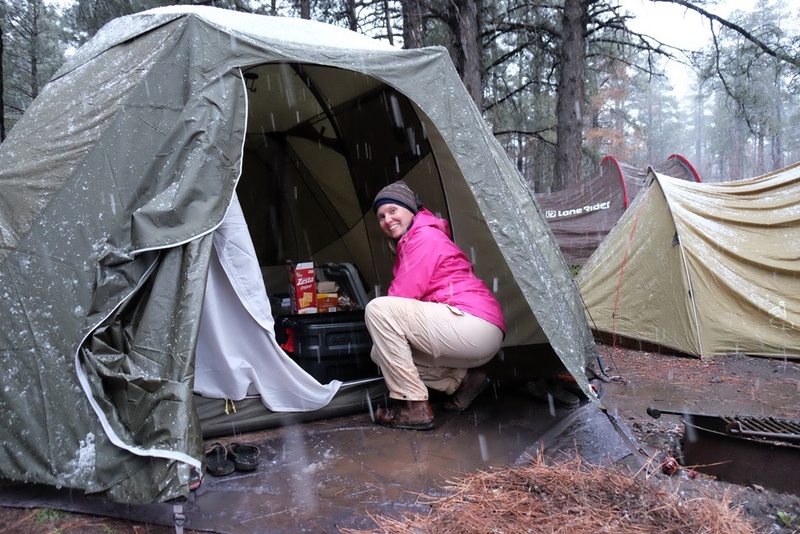 The puddle in front of Chris and Laura’s tent (along with the snow on its sides) is a good representation of the weather we experienced at the expo. Our friends Danell Lynn, of BlackTie2BlackTop fame, blacktie2blacktop.com , and Nick Calderone, star of the Right This Minute television program, rightthisminute.com. 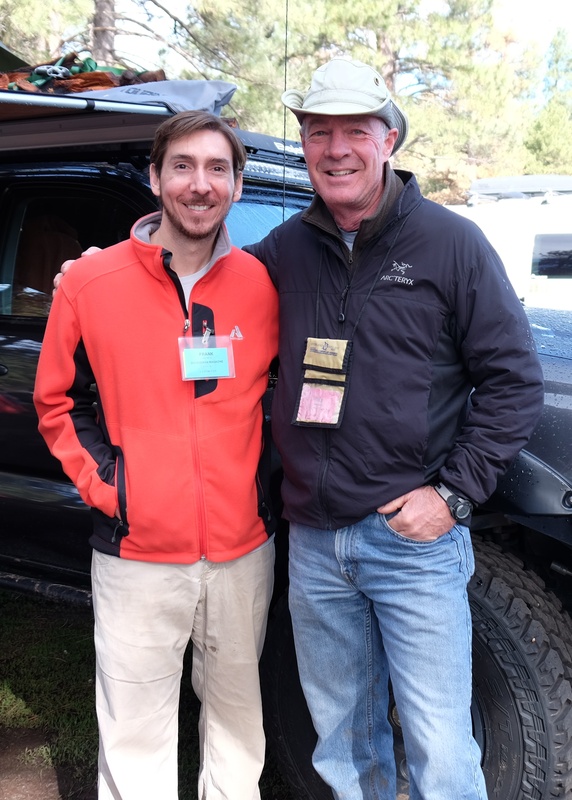 Bill with Frank Ledwell, publisher of OutdoorX4 magazine, outdoorx4.com. 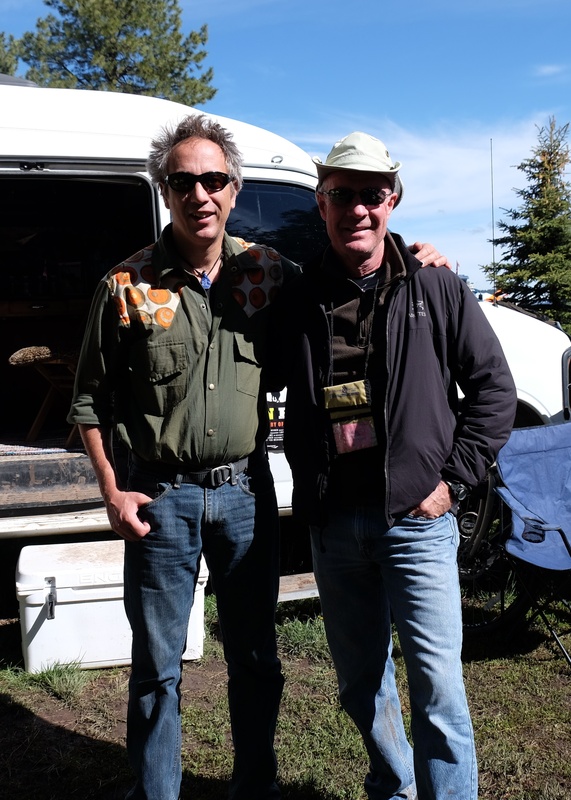 Our next door neighbor in camp at the expo was filmmaker Sterling Noren, whose latest work is the award documentary, “Run Free,” runfreemovie.com. 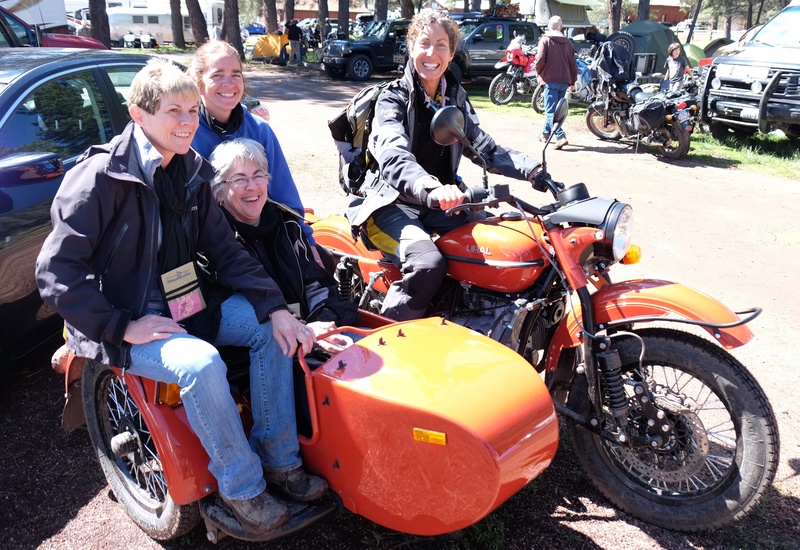 When the sun came out, I went for a spin on Nicole Espinosa’s Ural with Kris Green and Ginamarie Austin. 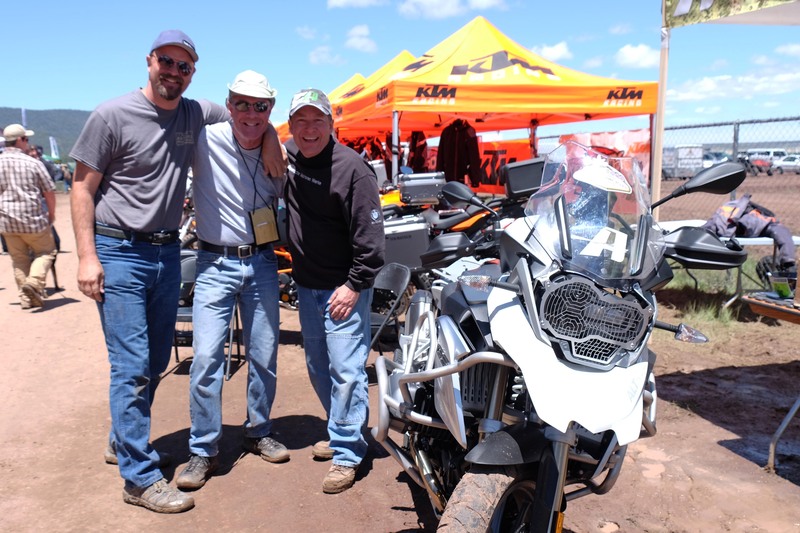 It’s always a pleasure to see Shawn Thomas and Kurt Asplindh!